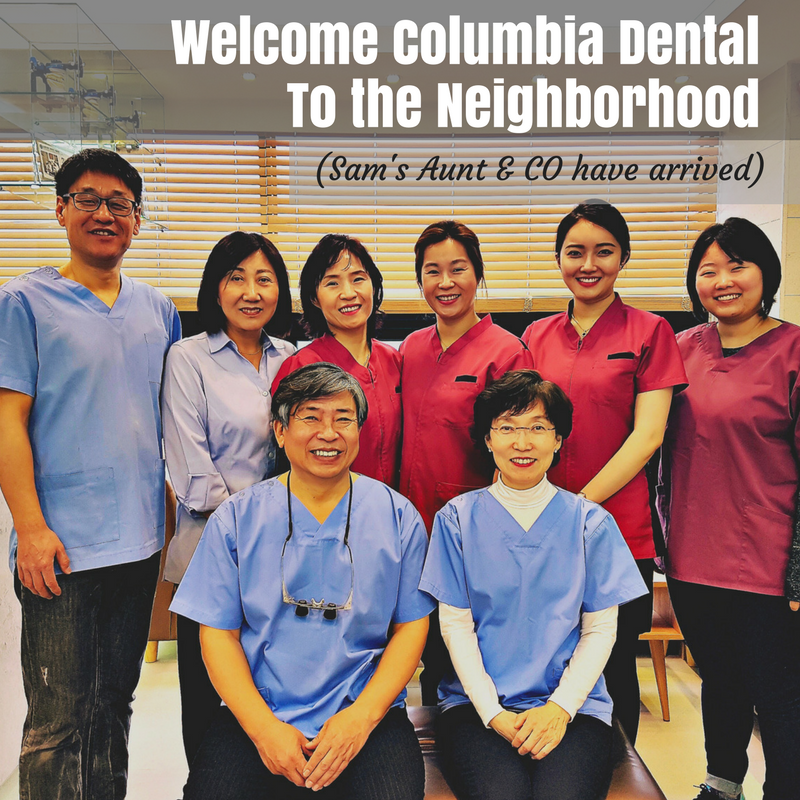 If you know Sam at Attractive Coffee, you have heard that his aunt is bringing her Seoul dental clinic to Anjeongri. 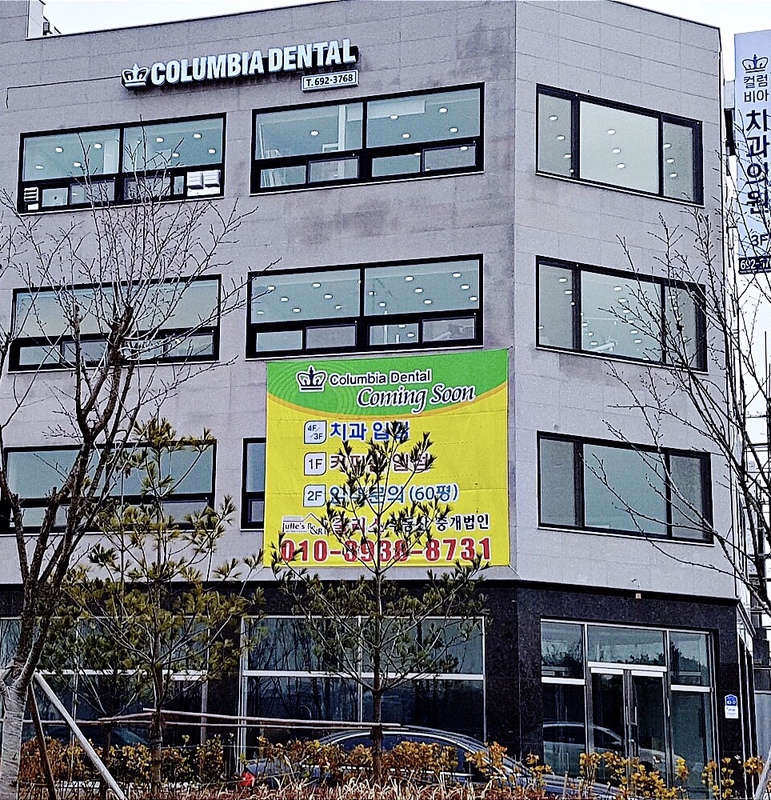 No need to make a big trip to Seoul for dental anymore, it came to us. 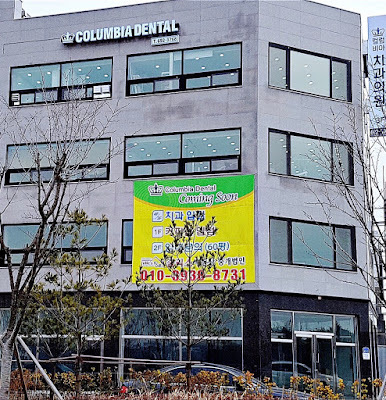 The new clinic is called Columbia Dental and it's opening over the top of where Sam's new coffee shop will be next to Brown Stone Apartments. As you can imagine, he is super excited and asked us if I could meet his aunt and help welcome her to the neighborhood. Of course I can't say no to Sam, so we went to meet her and see the new space. All I have to say after my first visit is, "YASSSS! OMG so fancy." Yup, I'm so articulate. Also, as it turns out, Sam's aunt has a name, Dr. Jina Lee Linton. She is extremely accomplished and went to what my sister and I call "fancy school". She studied dentistry at Columbia University in New York, with a specialization in Orthodontics, and received her D.D.S. and her Ph.D from Yonsei (a fancy Korean school). 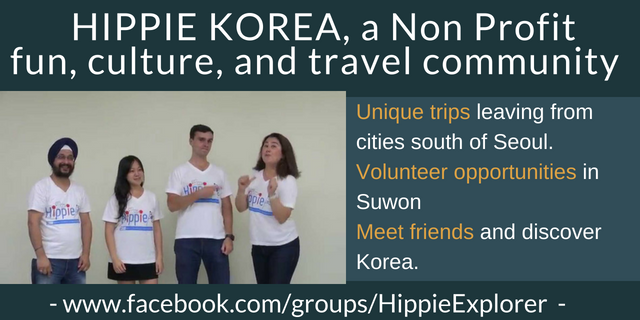 She is licensed in the US, Korea and China. Dr. Linton has also done plenty of research and published many articles. It's a ridiculously impressive resume. She has been running dental clinics for 26 years. Her English is also flawless and she was incredibly easy to talk to and welcoming. We are so lucky to have her here. Her partner in the practice, Dr. Jung is also very accomplished and very friendly. 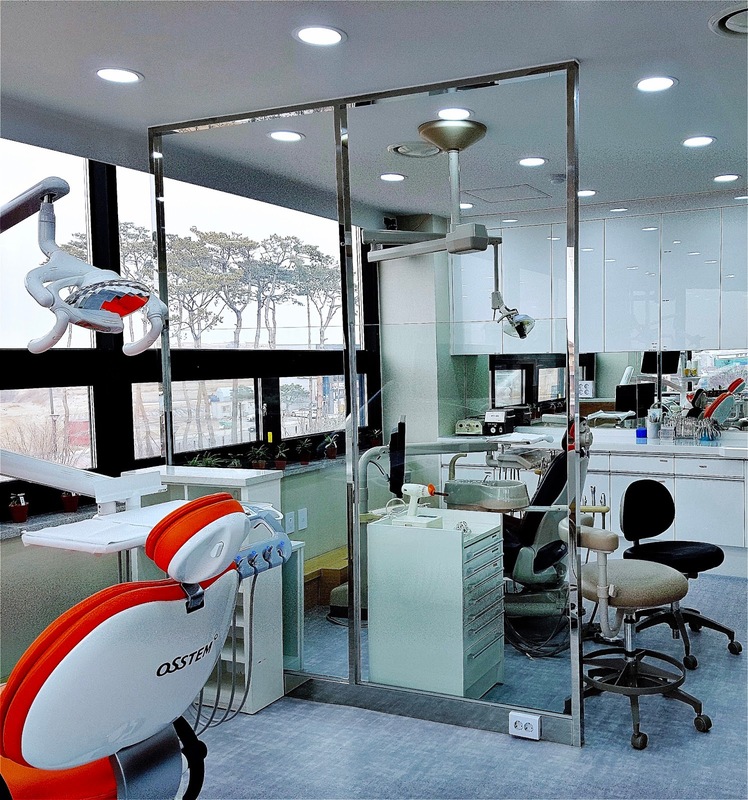 His focus is on implant dentistry so the Dr's practices compliment each other well. We didn't get to talk much but he was super smiley and friendly and gave off a warm inviting vibe. His daughter also works at the practice with them and was lovely. Dr. Jung will certainly make you feel very comfortable. Sunny getting oriented to the new office. The other staff that I met at Columbia Dental were also really friendly. 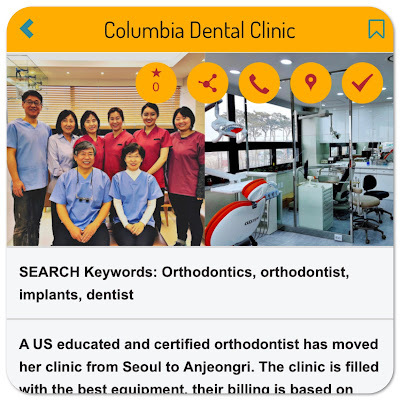 Dr. Linton and Dr. Jung know that many of their clients won't speak Korean so they have prepared well. A number of their technicians speak English and I also met their English speaking patient representative, Sunny. She will be helping foreigners when we come to the clinic. It's great that they have a designated person for this roll. I think it will make it much more comfortable. It's already scary enough going to the dentist, adding a language barrier to it can be too much. Anyway, they gave me a lovely tour of the clinic and it was soooo friggin pretty. It resides on two floors and has elevator access. The 3rd floor of the building is where their reception and primary customer care areas are. They will eventually even have a little, covered play area for kids on the outside deck (It's not finished yet, but someday). The 4th floor has some work spaces, the sterilization room (as a germ freak I geeked out a little when I saw how nice it was) and staff offices. Sterilization room is so pretty. The staff have a nice view. I think it's important to point out that the clinic is excited about serving families. They like kids, they are looking forward to kids, and they took them into consideration in planning the clinic layout. Don't be shy about showing up with the little ones who need dental care. When I asked about insurance they said they take Korean National Insurance and they also direct bill Tricare (which is great news for military). They have been direct billing Tricare since 2006 so they have tons of experience with it. When I asked about prices they said they follow the Tricare recommended costs and then often charge a bit less. So basically their costs are structured to make sure they work easily with the insurance carried by the majority of their clients. It was good to know they have a standard that they follow to keep things consistent. I always feel better when a business can tell me a clear system they use for pricing. I honestly didn't know what to expect when Sam asked if I could meet his aunt and who wants to spend their free time at a Dental clinic when they could go home and cuddle with their puppies? However, after visiting, I'm glad I didn't listen to that voice in my head because I truly enjoyed my visit. I honestly like this group of people. I can see where Sam got his charm and warmth. I'm now looking forward to the dental work that I've put off an embarrassingly stupid long time. 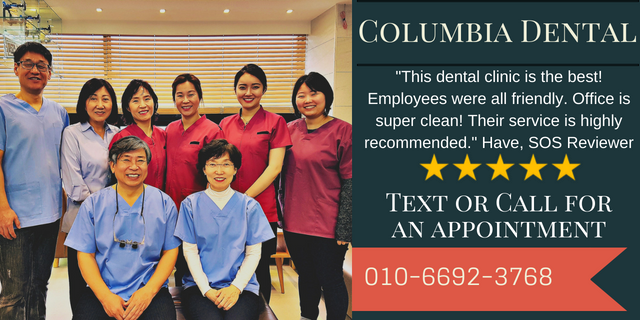 In the past I have had dental work done in Korea and it was excellent. No pain, no stress, and affordable. 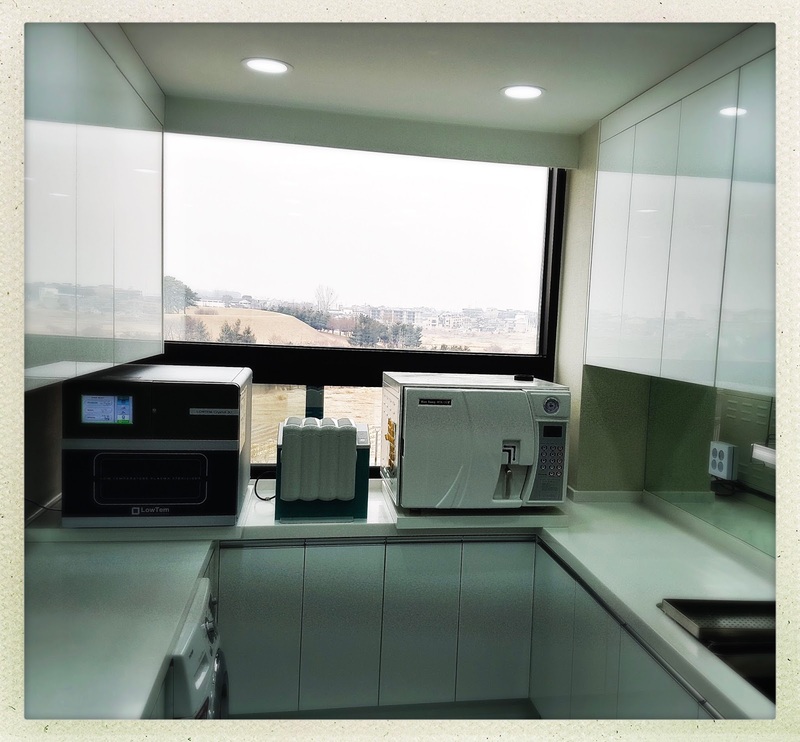 The problem was that the clinic was in Seoul and it was too much of a hassle. 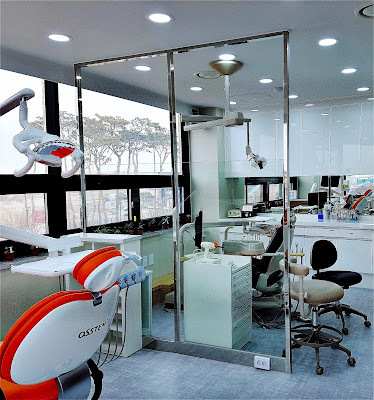 I researched other dentist in Pyeongtaek and found some great options (which are in the South of Seoul app) but, for a variety of reasons, I just never went. Now I have no excuses. My ideal clinic has come to me. 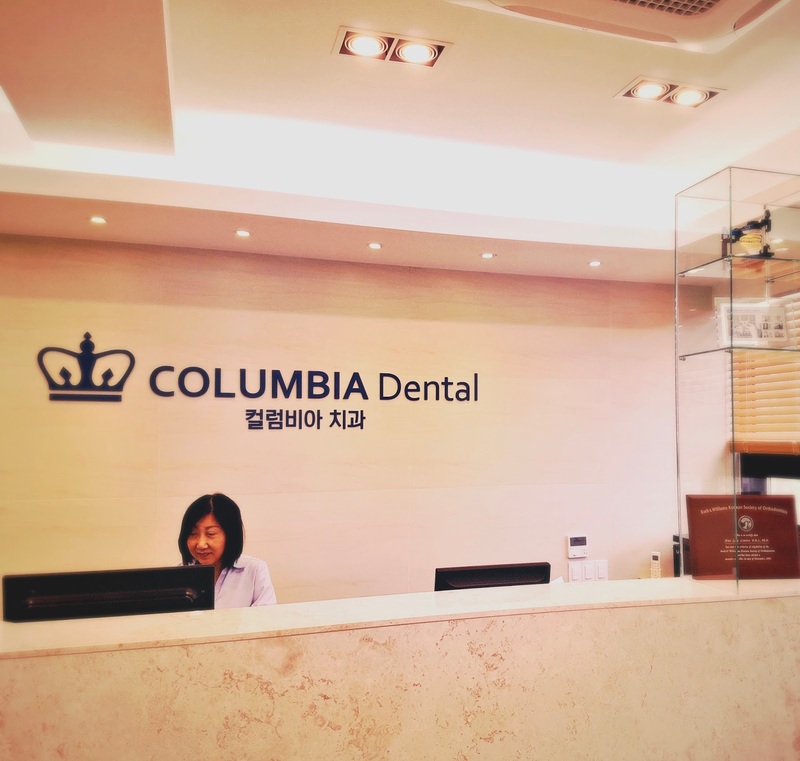 I will absolutely be booking my appointment at Columbia Dental. You can call them at 031-692-3768 or 010-6692-3768 to make an appointment. There will be someone available to help you in English. 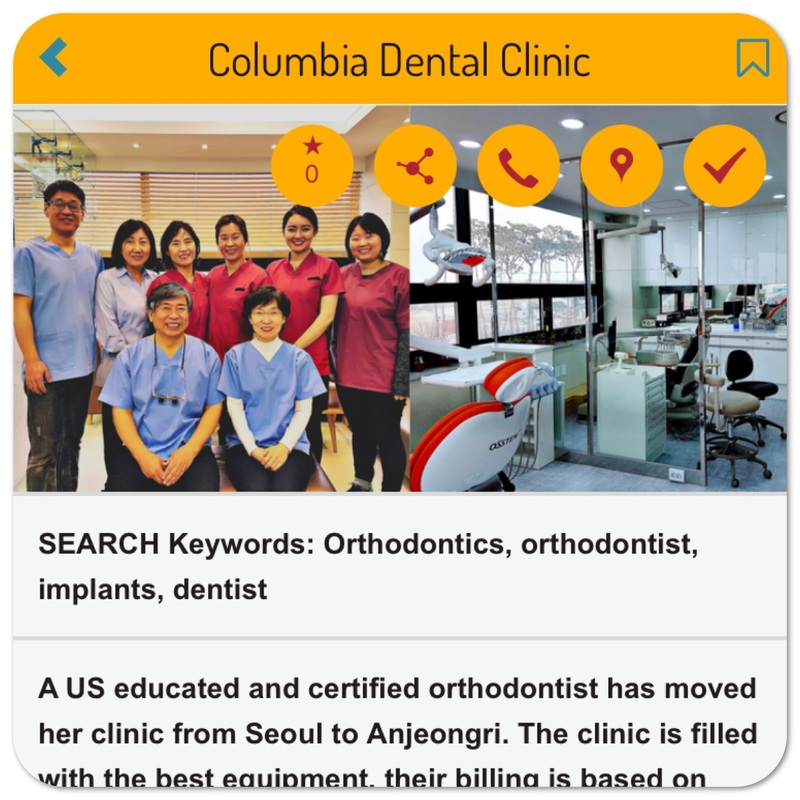 We have also added Columbia Dental to the South of Seoul app. 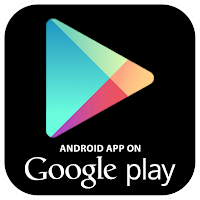 WAZE links (including where to park) and additional information available there.